Just let me start by saying thank you so much to all of you who have been purchasing my tutorials and also for those of you who have sent me feedback--seems many of you like the card only tutorials and ones that use only a few supplies--so with that in mind here is the next card only tutorial for you! 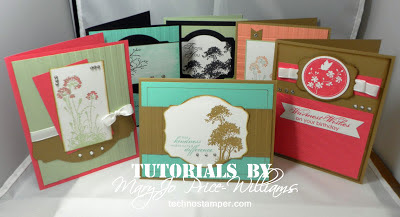 Six never before seen on my blog cards using the Serene Silhouettes Stamp Set! I am excited to bring you this group of cards. I was careful to create cards for both masculine and feminine when designing the cards. 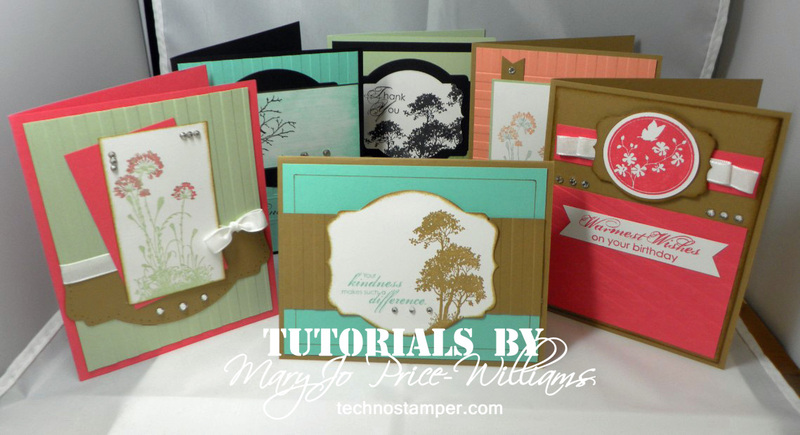 The tutorial has 8 full pages of step by step directions including all cut sizes for paper. Each card using the same products but in different ways. Your tutorial will be automatically available after payment! Thanks so much for visiting and purchasing my tutorials!